On the 5th of April, we – the 4B of the High School Gleisdorf with our teacher Claudia Schanes – sold cookies in Gleisdorf to collect money for P.A.P.A. Bridge VTC Kilema. 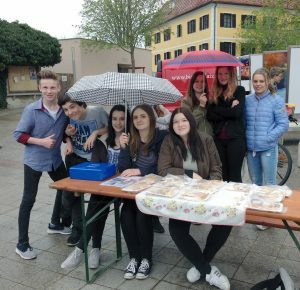 After the 4th lesson, we left the school to head to the market and built up the kiosk with the little plates of cookies we had already prepared the day before. We also walked around to sell our biscuits. 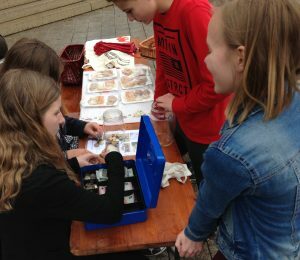 It wasn’t that easy, but we were able to collect €223.76 in just one and a half hour. Some working people in Tanzania get that much money in a year. With just a little bit of time we helped a lot of people. We think it was totally worth it! So we believe we can do anything if we just want it and stay together!